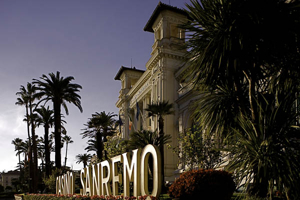 A vacation in San Remo means being in the center of the largest and best known tourist area in the Mediterranean, straddling the Ligurian Riviera and the Cote d'Azur. Our travel agency therefore is pleased to propose a whole range of day trips, which will allow you to enjoy the many aspects of the extraordinary opportunities for leisure and accommodation that our territory has to offer. The excursions on offer can be tailored to your own needs: it is possible to book transportation, entry tickets to museums and attractions, wine-tasting and sampling of local products - all are suitable and can be arranged either for the individual traveller, or for an organized group. You can book individual tours directly online with the form published on the left, but don't hesitate to contact us with any request for information. WEEKEND ON THE ITALIAN RIVIERA Holiday packages on the Italian and French Riviera The Riviera enjoys a mild climate all year round, offering a range of opportunities from major events to botanical gardens, leisure resorts to villages set in inland valleys. EXCURSIONS ON THE FRENCH RIVIERA Daily excursions on the Italian and French Riviera We invite you to discover the Riviera with its cities: Genoa, San Remo, Monte Carlo, Nice and Cannes, as well as its traditions and inland medieval villages, prehistoric caves, Roman ruins and the treasures of the Belle Epoque. CYCLING TOURS ON THE ITALIAN RIVIERA Group trips on the French Riviera The mild climate and the varied scenery ranging from the peaks of the Maritime Alps to the shores of the Mediterranean are the ideal destination for lovers of two wheels, whether it be road cycling or mountain biking.